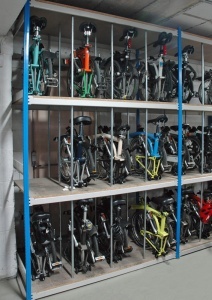 Bike storage rack specifically designed to house folding bikes like the popular Brompton bicycle. With 3 tiers of storage in this 8ft high shelving unit, you can store up to 12 folded bicycles in a practical and efficient manner. Built using Trimline commercial grade shelving components with strong widespan shelf levels. Special divider rods are used to create the twelve storage compartments. Available in both a starter and add-on bay configurations. Compartment size: W350 x D762 x H750mm approx. 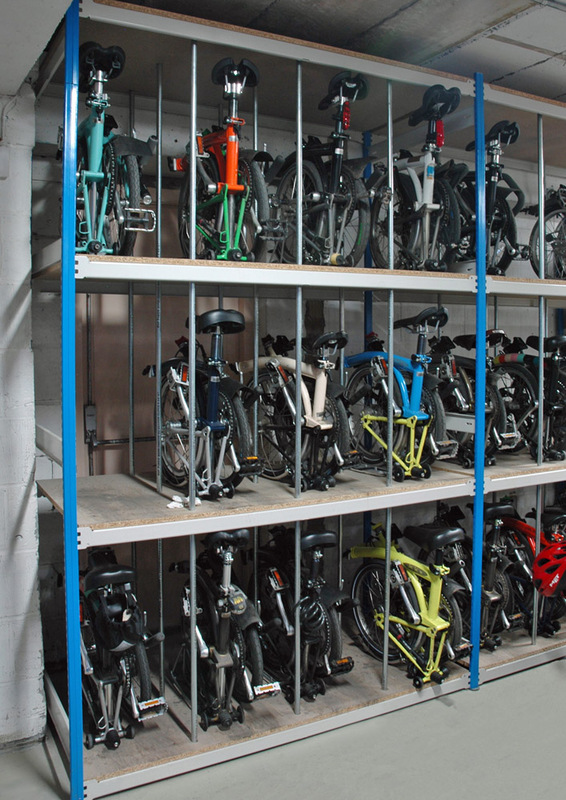 Note: Image shows 1 x starter bay with 1 x add-on bay connected, bikes not included.